Spacious, easy to maintain, and convenient to use, the Hisense 514L Bottom Mount Fridge has adaptable shelving, Frost-free technology, and multiple storage compartments to serve as a practical kitchen essential for busy homes. Its 4 star Energy rating makes it an efficient option for your household. The Hisense 514L Bottom Mount Fridge Inverter Technology and a Multi Air Flow system to provide optimal temperatures for your food, drinks, and other goods. Equipped with adjustable spill-proof glass shelves, this bottom mount fridge can be quickly reconfigured to accommodate various items while making itself easy to clean. This refrigerator has easy slide drawers to let you load and unload items quickly and easily. 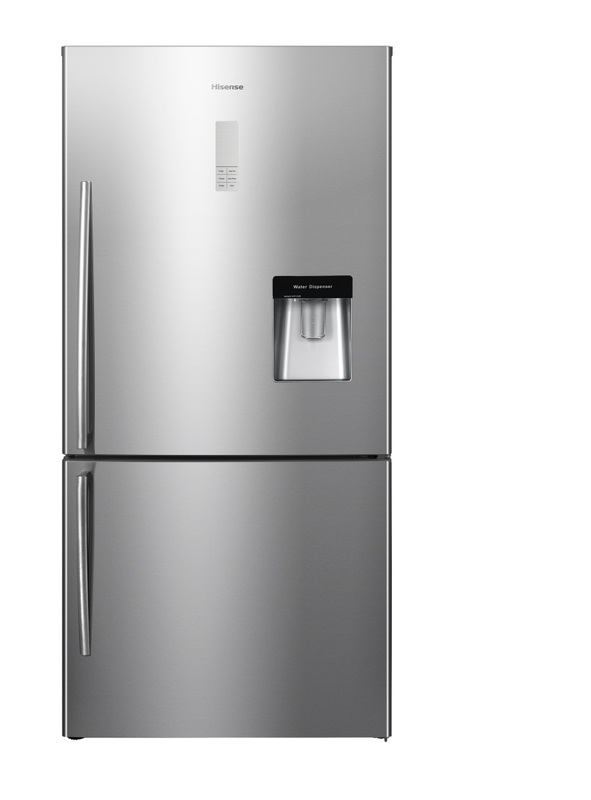 The Hisense HR6BMFF514SW Refrigerator was added to the Refrigerators category in February 2018. The lowest price GetPrice has found for the Hisense HR6BMFF514SW Refrigerator in Australia is $1,039.00 from think of us. Other merchants who stock it are think of us, R.T.Edwards QLD, Billy Guyatts, ozappliances.com.au, Appliances Online.